The lawyers at Livorno and Arnett Co., LPA, represent claimants to receive the unemployment compensation benefits to which they are entitled. Ohio’s unemployment compensation system is designed to provide benefits to employees who have become unemployed through no fault of their own. Although most claims can and should be handled without the assistance of a lawyer, there are times when a lawyer is needed. For example, an employer may fight a claim, alleging that the employee was fired for just cause and is not entitled to benefits. Or the Ohio Department of Job and Family Services may disallow a claim because the employee allegedly quit employment without just cause. These are the times a claimant needs a lawyer experienced with Ohio’s unemployment compensation laws. If you are encountering difficulties with an unemployment compensation claim, it never hurts to contact a lawyer familiar with Ohio’s unemployment compensation system. Generally, the law firm of Livorno and Arnett Co., LPA, represents a claimant when an appeal is made to the Unemployment Compensation Review Commission and a hearing will be scheduled. The hearing stage is the level when an attorney can be of the most help. It is at the hearing that the employer can be challenged, that witnesses can be examined and cross-examined, that documents and their importance can be brought to the attention of the hearing officer, and the best and most effective legal arguments as to why the claimant should receive benefits can be made. However, do not hesitate to call us at any step of the process. We can still answer questions you may have along the way, even before you reach the hearing stage of your claim. How does an employee become eligible for unemployment compensation benefits? To qualify for Ohio unemployment compensation benefits, three criteria must be established.First, you must be totally or partially unemployed at the time you file your application. Second, you must have worked enough weeks and earned enough money in “covered employment” during the base period of your claim. Typically 20 weeks of work is required during the base period. The base period may vary depending on the employee’s circumstances, but usually the base period is the first four of the last five completed calendar quarters. As to what is covered employment, most employers are required to pay unemployment insurance taxes to the State and so are “covered.” However, if you worked for a small family business or religious organization, the employment may not be covered. As to the amount of earnings, this varies by the year. For example, if you file your application during 2017, you must have an average gross weekly wage of at least $247 during the base period. Third, you must be unemployed through no fault of your own (see below). When you apply for unemployment compensation benefits, you will be asked the reasons for your separation, and your employer will also be asked to verify the reason for your unemployment, so it can be determined if you were unemployed through no fault of your own. What does it mean that the employee is unemployed through no fault of his/her own? Ohio law does not provide for benefits to employees who are responsible for their own separation from employment; instead, generally only employees who become unemployed through no fault of their own are entitled to unemployment compensation benefits. Therefore, you have to look at the reason for the unemployment.If you lose your job due to a “lack of work” (e.g., lay-off, job abolishment, business or plant closing), you are unemployed through no fault of your own and entitled to unemployment compensation benefits. If you were discharged or fired from your job, without just cause, you are entitled to unemployment compensation benefits. In order to deny benefits, the employer must establish that your discharge was for just cause. The legal standard under Ohio law that determines whether an employee quit or was discharged with just cause is whether the action taken would be taken by an ordinary, careful person under similar circumstances. If the employer can establish just cause for dismissing you, you will not be eligible for unemployment benefits. Just cause is determined on a case by case basis, but typically benefits may be denied if the employee violated established company rules, neglected his/her job responsibilities, took action in conflict with the employer’s interest, or performed work poorly. Many other factors are reviewed to determine if there was just cause, so an unemployed worker should consult an experienced lawyer if there are any questions about whether there was just cause. the employer making unreasonable changes to your work schedule, location, duties, wages, etc. the employer failing to provide a safe work environment or violating established legal or ethical standards. It is up to the employee to provide proof that the employee had just cause for quitting. If you are unemployed because of a strike or labor dispute, other than a lockout, you will be disqualified from unemployment benefits. If you became unemployed because of the employer’s lockout, the labor dispute will not prevent you from receiving benefits. How do you maintain eligibility for unemployment compensation benefits? Attending school while you are filing for unemployment compensation benefits may affect your eligibility for benefits. You must notify the Ohio Department of Job and Family Services (ODJFS) if you are registering for school, attending school or stop attending school. If you begin attending school while receiving unemployment, you may still need to look for suitable employment and be ready and willing to accept work on any shift or occupation consistent with your prior training and experience. Although individuals are generally not eligible for benefits while attending school full time, there may be exceptions that allow you to collect benefits while in school. You must maintain a detailed record of your job search efforts; be prepared to submit this to ODJFS if requested. Most claimants will receive a “New Claim Instruction Sheet” which will inform them of the minimum work search efforts that must be made each week to remain eligible for benefits. ODJFS may take steps to confirm that you made the job search efforts you listed. When should you file for unemployment compensation benefits? File your application for unemployment benefits with the Ohio Department of Job and Family Services (ODJFS) as soon as you become unemployed. Your claim will begin the Sunday of the calendar week in which your application is filed. Waiting only delays the start of your claim, and no benefits will be paid for weeks of unemployment before the week you file. You should file even if you will not immediately receive benefits because of a required waiting week or because you are receiving severance, vacation, or separation pay from your employer which might offset your unemployment compensation benefits. How do you file for unemployment compensation benefits? If you have dependents, their names, Social Security numbers, and dates of birth. If claiming dependents and you are married, your spouse’s name, Social Security number (even if you do not claim your spouse). What will be the amount of your unemployment compensation benefits? The weekly benefit amount varies from one claimant to the next, depending upon the average weekly wage, number of dependents, etc. Generally the benefit is 50% of the employee’s average weekly wage, but there is a cap on weekly benefits. For 2014, for instance, the maximum weekly benefit runs from $418 (no dependents) to $564 (three or more dependents). Those caps increased to $443 and $598, respectively, in 2017. Can you appeal if your claim is denied? ODJFS may have a question about your eligibility or continued eligibility and may send a “Notice of Eligibility Issue.” You need to timely provide the information it needs to process your claim.If your claim is disallowed, you have the right to appeal. Most orders you receive will set forth the requirements for an appeal and the time you have to file an appeal; be sure to carefully review those orders and follow the steps outlined. If you disagree with an initial decision, you may file a written appeal to ODJFS within 21 calendar days of the date the determination was issued. You may also include any evidence, documentation or witness statements to support your position. You may file your timely appeal online at www.unemployment.ohio.gov, by mail, or by fax with the ODJFS processing center identified on your determination notice, or with any ODJFS claims processing center. After you appeal, ODJFS will issue a redetermination decision or, on rare occasions, refer the appeal directly to the Unemployment Compensation Review Commission (UCRC) . If you disagree with the redetermination of your initial appeal, you may file a written appeal to the Unemployment Compensation Review Commission (UCRC) within 21 calendar days of the date the redetermination was issued. Again, be certain to follow all of the requirements outlined for filing an appeal. It is important that you continue to file weekly claims for unemployment benefits for any weeks you are unemployed while your appeals are pending. If an appeal is ultimately decided in your favor, you may receive payments only for weeks properly claimed and that are otherwise payable. What is involved in the appeal process? Many claimants who are denied benefits, and whose initial appeal is rejected, are able to receive benefits as a result of a favorable appeal to the UCRC. After the UCRC accepts an appeal, you will receive a notice that your appeal has been transferred to the UCRC. Your case will be scheduled for either an in person or telephone hearing with a hearing officer, although most hearings at this time are conducted by telephone. If you want an in-person hearing, you should timely request one and agree to travel to a hearing site closest to the location of the other parties. The notice from the UCRC will detail the procedures for the hearing, submitting exhibits, procuring witnesses, etc.The hearing officer will listen to the testimony and documents presented by the parties. You must make arrangements for any witnesses to participate, including requesting the issuance of subpoenas for witnesses. The hearing officer will issue a decision based on the information contained in your file and the testimony presented at the hearing. Because information already in the file (including information or documents which you may not be aware of) may be considered, you should always request a copy of your file as soon as you receive notice that the appeal will be heard by the UCRC. If you disagree with the UCRC hearing officer’s decision, you may request a review by the Commission members within 21 calendar days of the mailing date of the hearing officer’s decision. Your appeal should state that you are requesting a review of the hearing officer’s decision and why you disagree with the decision. Be aware that appeals to the Commission members are seldom granted, so the best opportunity to win your case is by presenting the evidence at the prior hearing. If you disagree with the final UCRC decision, you may file an appeal with the Common Pleas Court of the Ohio county where you live or were last employed. The Court will base its decision based upon the administrative record, i.e., the documents and the transcript of the hearing held in your claim. If you disagree with the decision of the Common Pleas Court, you may appeal your case further as in other civil cases. Will the state know if I am receiving wages or other earnings at the same time I am receiving unemployment compensation benefits? Be sure to report any earnings, benefits, or any other income you may receive while on unemployment compensation since they may reduce or eliminate the weekly amount you may receive. Receiving certain forms of income while at the same time collecting unemployment compensation benefits may be considered fraud, and ODJFS will pursue any acts of fraud committed against the unemployment insurance program. Be aware that ODJFS routinely cross-checks records from other employers and sources to determine if you have been hired for another job or were paid wages or other benefits during the same time you are collecting unemployment. It never hurts to contact a lawyer familiar with Ohio’s unemployment compensation system. Note that it is at the hearing level when an attorney can be of the most help. It is at the hearing that witnesses can be examined and cross-examined, documents and their importance can be brought to the attention of the hearing officer, and the best and most effective legal arguments as to why the claimant should receive benefits can be made. 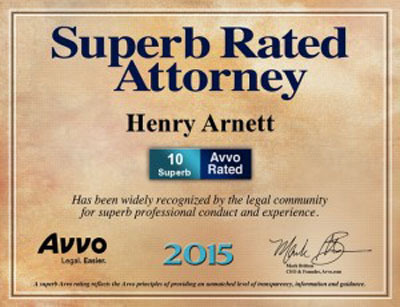 Generally, the law firm of Livorno and Arnett Co., LPA, represents a claimant when an appeal is made to the UCRC and a hearing will be scheduled. However, do not hesitate to call us at any step of the process. We can still answer questions you may have along the way, even before you reach the hearing stage of your claim.